The opportunity is daunting, but so are the challenges for making all the pieces work together. The race is on to win a piece of the edge, despite the fact that there is no consistent definition of where the edge begins and ends or how the various pieces will be integrated or ultimately tested. The edge concept originated with the Internet of Things, where the initial idea was that tens of billions of dumb sensors would communicate through gateways to the cloud. That idea persisted until last year, when there was widespread recognition that even the fastest communication infrastructure available was still too slow and inefficient to stream video and other types of data to some remote location for processing, sorting, and storage—and then deliver some amount of information back to the device. This is particularly true for automotive applications, where image sensors, LiDAR and radar are generating an estimated 15 terabytes of data per hour. That number could rise significantly higher, too, as 360º imaging is added into vehicles and more sensors are included for accident avoidance or prevention. As a result, there are now expected to be various intermediate steps, all of which will fuel demand for high-performance chips. This is a brand new untapped market. At this point no one owns it, and it can generate a lot of business upstream and downstream. Unlike the IoT, this market will support more expensive systems that use both off-the-shelf and custom chips. There is no shortage of venture funding available, and a multitude of both open and proprietary instruction set architectures are available. Still, the idea of how computing gets partitioned and where data gets processed has created a fair share of confusion. Cloud providers and large system vendors are calling this a hybrid cloud approach. Others are differentiating between the edge and the cloud. And within each of these, multiple different segments make it difficult to predict where this market is going. What is becoming clear, though, is that sending all data to hyperscale clouds such as Google Cloud or Amazon Web Services is grossly inefficient for some applications. It’s also a somewhat fluid concept because there is no clear demarcation between the edge and the cloud. Lisa Davis, vice president of the data center group at Intel, predicts that computing will become much more granular, depending upon markets and individual use cases. “Most enterprises will have at least eight different clouds within their environments,” she said. So what actually constitutes the edge? Wally Rhines, CEO Emeritus at Mentor, a Siemens Business, breaks it down into three distinct areas—edge devices that are collecting data, edge gateways, and edge systems in server centers. Each of those could utilize a variety of chips, from FPGAs to custom ASICs and different packaging options, which will be used over millions of custom gateways, and security will need to be different for each segment. How the edge ultimately meshes with the cloud remains to be seen. The general consensus among large tech companies is that the future will hinge on some sort of hybrid model, but that the edge will become increasingly important. This is where the edge gets complicated. 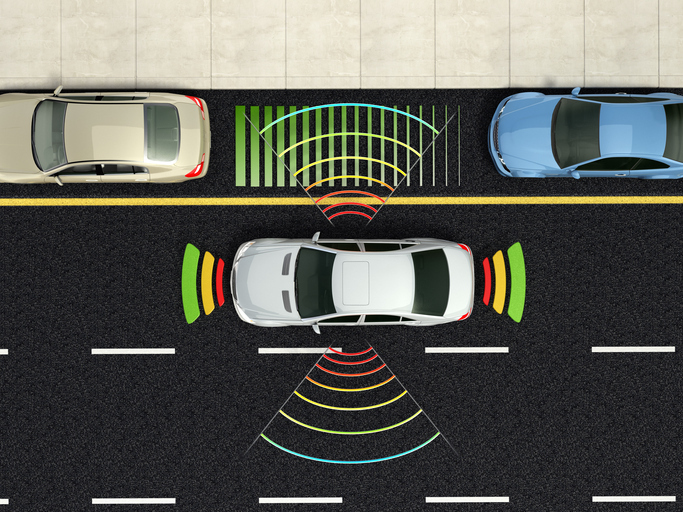 Assisted or autonomous vehicles need a certain amount of internal processing and external communication, whether that is to another car or an edge server or cloud. All of this happens at the edge, and assisted driving is one of the key edge applications. But how all of this gets split up has a big impact on not only processing and reaction time, but also security. Until the edge is better defined, understanding where and how to implement security is difficult. Another piece of the puzzle involves reliability of devices and systems operating at the edge. This is obvious for automotive, medical, and industrial applications. What is less obvious is how well supporting technologies such as 5G communications will impact their operation. An accident can occur because information housed in an edge cloud was either too far away to provide a response in time, or it couldn’t process the information fast enough. The challenge is that multiple pieces of the edge need to work reliably together, and not all of them are progressing at the same speed or with the same goal in mind. As a result, when various quality control steps are combined, such as test, coverage becomes more difficult. This is why the edge is so critical in this equation. It’s also one of the reasons that companies are beginning to embrace standardization in this market. This is already happening in specific markets such as automotive, where ISO 26262 has risen out of obscurity to the point where every chipmaker understands its impact. With 5G and other communications standards, though, there are still unanswered questions about how to test arrays of antennas, despite the fact that they may be a critical element in the safety of edge devices. There is no question that the edge will be important, no matter how it is defined. What remains to be seen is how well companies work together to integrate the various pieces that ultimately define the edge. At the very least, there will be massive churn and change as these pieces are defined, and as different architectures and tradeoffs are integrated into edge devices, edge clouds, and everything else in between. The question now is whether companies can collaborate to make significant use of the data that is generated at the edge, and how quickly that will happen. —Ann Steffora Mutschler contributed to this report. Experts at the Table, Part 3: Pushing fully depleted SOI to 10/7nm for AI at the edge; what’s missing in the supply chain. Industrial Internet Consortium defines use scenarios, not standards, of IIoT edge computing.